When asked how they measure coding vendors, more than 55% of respondents to our 2016 survey ranked Accuracy as the most important metric for gauging the performance of outsourced coders. And how are vendors performing? Two-thirds of respondents stated quality was the biggest issue they face. Comparing that number to 34% in 2015, it seems that the quality issue has worsened. Outsourcing is an effective, strategic approach to managing a coding department, but it can also cause an administrative burden when outsourced coders are not performing to your standards. In traditional staffing arrangements, quality assurance is typically left up to the facility’s internal resources. But that approach delivers sub-optimal results that could increase compliance risk and affect a hospital’s reimbursement and revenue. As himagine’s SVP of HIM Operations, I have worked with several of our largest clients to develop and implement outsourcing programs. My advice to any healthcare organization when working with an outsource vendor is to work in partnership with the vendor. You should both feel as though the outsourced team is an extension of the facility’s team. From a quality perspective, success depends on your facility working together with your vendors to establish quality standards and an assurance program to measure performance against those standards. In addition, accountability for quality must be reciprocal. Just as the vendor must take responsibility for monitoring their coders and providing training to ensure they maintain quality, healthcare facilities must ensure they give the vendor all the information they need to effectively coach their coders on your policies and procedures. In short, high quality is the result of collaboration with your outsourcing partners. Taking a partnership approach allows you to stop worrying about managing outsourced coder quality and to start focusing on the many other challenges of the ever-changing healthcare industry. 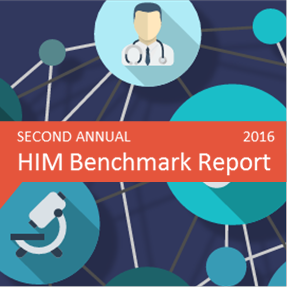 Quality is just one area of focus of our 2016 HIM Benchmark Report. You can download the full report here and share your thoughts on how the ICD-10 transition went and what is yet to come in the healthcare industry in the comments area below.